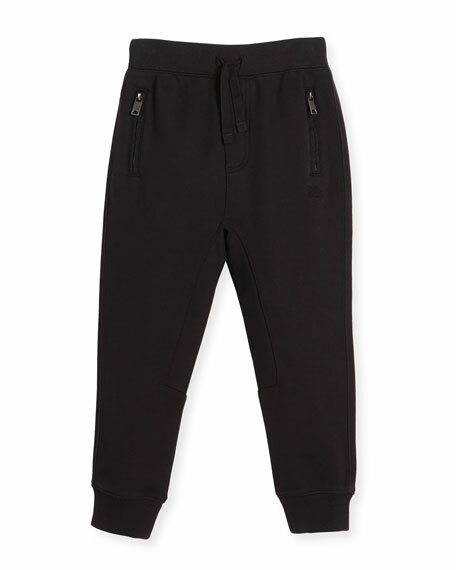 Jersey "Phill" track pants in cotton by Burberry. Zip pockets at front; logo embroidery at left. For in-store inquiries, use sku #2051823.